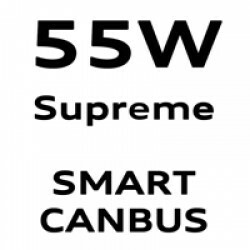 SUPREME CANBUS FAST START 55W - designed for customers wanting the most premier & best HID kits available. These kits are suitable for both CANBUS & NON-CANBUS vehicles. BRAND NEW, EXCLUSIVE TO HORIZON LEDS & LATEST TECHNOLOGY H1 SUPREME CANBUS FAST.. BRAND NEW, EXCLUSIVE TO HORIZON LEDS & LATEST TECHNOLOGY H4 SUPREME CANBUS FAST.. BRAND NEW, EXCLUSIVE TO HORIZON LEDS & LATEST TECHNOLOGY H13 SUPREME CANBUS FAST STA.. BRAND NEW, EXCLUSIVE TO HORIZON LEDS & LATEST TECHNOLOGY D2R/D2S SUPREME CANBUS.. BRAND NEW, EXCLUSIVE TO HORIZON LEDS & LATEST TECHNOLOGY HB3/9005 SUPREME CANBU.. BRAND NEW, EXCLUSIVE TO HORIZON LEDS & LATEST TECHNOLOGY HB4/9006 SUPREME CANBU..